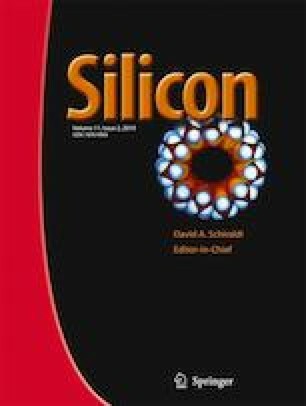 In the present research paper, the structural, electronic and thermodynamic properties of the Si1-yCy binary in a super cell consists of 08, 16 and 32 atoms were studied. The Full Potential-Linearized Augmented Plane Wave (FP-LAPW) method was used within the Density Functional Theory (DFT); which was performed directly in WIEN2K code.. The exchange and correlation potential is treated with the local density approximation (LDA). The deviation of lattice parameter was analyzed by the use of Vegard’s Law depending on the concentration and, therefore, the results seem to obey the Vegard’s law. Moreover, the modified exchange potential proposed by Becke -Johnson to calculate the gap were applied. The results achieved by the local density approximation (LDA) and potential of modified Becke -Johnson (MBJ-LDA) was discussed. Difference in the gap was observed especially in low concentrations y = 0.125; the gap value increases from −0.016 eV to 0.177 eV and when y = 0.5 the gap improved from 1.302 eV to 2.272 eV obtained by the LDA and the MBJ respectively; close to the experimental value 2.39 eV. Next, in order to study the microscopic origin of the bowing gap, Zunger’s approach was introduced. Finally, thermodynamic properties were calculated as well as the results were discussed. Based on the results, it can be concluded that the values obtained are in a better agreement with those of other theoretical and experimental data. The authors would like to acknowledge the assistance of Dr. BENZERGA Noureddine (benznourijones@gmail.com) from the University of Djillali Liabes faculty of letters and arts in reviewing the paper. The authors would like also to acknowledge the valuable proofreading of Me OUENNAS Sara in the presence of TRANS-OFFICE (E-mail: transoffice2@gmail.com) which have improved the quality of this paper.